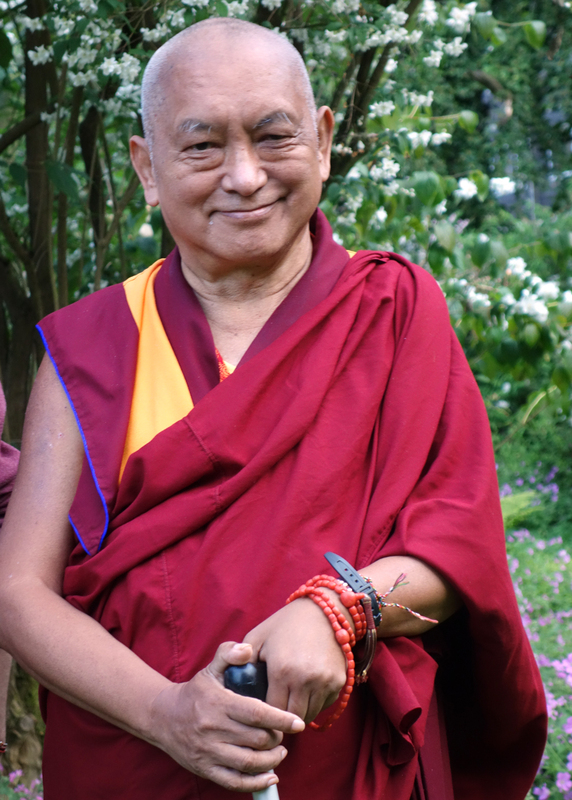 Lama Zopa Rinpoche in England, July 2014. Photo by Ven. Roger Kunsang. The Inner Job Description (IJD) is a tool for developing mindfulness about our thoughts, speech, and actions. By using the Inner Job Description Mindfulness Practice Tool daily, our increased awareness of self-defeating mental habits can allow us to make change by changing our mental imprints in positive ways. Please be sure to use this tool as a gentle reminder of your practice and not as an instrument of unhealthy self-criticism. The Inner Job Description can now be practiced via an app! We invite you to use the IJD Mindfulness Practice App to become an inner professional. The app includes an option to set a reminder at your chosen interval during the day – the reminder displays a quote from Lama Zopa Rinpoche or Lama Yeshe! The app is available in English, Chinese, French, Italian, Spanish and Russian. 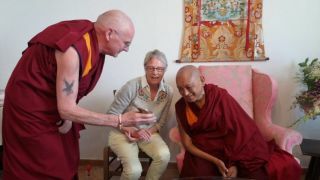 Lama Zopa Rinpoche with Ven. Roger Kunsang and Wendy Ridley looking at the IJD app, Italy, October 2017. Photo by Violette Pliot.